A subcutaneous injection is also called a subQ injection. It is a "shot" of medicine given into the layer between the skin and the muscle. A syringe with medicine in it is attached to a needle. The needle goes through the skin and into subcutaneous tissue. The medicine is pushed into subcutaneous tissue by pressing on the syringe plunger. When the medicine has been pushed into subcutaneous tissue, the needle is removed. Why did my caregiver choose this kind of shot? Subcutaneous shots must be given in small amounts. You will usually get an "insulin syringe" for a subQ shot. Insulin syringes will hold a maximum of 1 mL of medicine. The syringe shows divisions well marked with 10, 20, 30, 40, 50, 60, 70, 80, 90 and 100. 100 is the same as 1 mL. The marking at 50 is the same as half of a mL. You may get a "TB syringe". A TB syringe holds up to 1 mL of medicine, and has a needle that is slightly longer than an insulin syringe. What should I know about the medicine? Always know the name of your medicine, and why you take it. Know how much medicine you need to take or give. If you have questions about your medicine ask your caregiver before taking it. Medicine given in a shot is measured in mL's (milliliters). If you are using a pre-filled cartridge, check your doctor's orders. Be sure you need to use all the medicine in the cartridge. If there is too much medicine, take the cover off the needle and squirt the extra medicine into a sink. The name of the medicine. The number of mL's in the vial or ampule. The amount of medicine in each mL. The last date the medicine is safe to use. This is called the expiration date. Make sure you have enough medicine for several doses. How will I know the medicine is safe to give? The medicine is not past the expiration date on the bottle. There are no crystals or lumps in the ampule or vial. The medicine is the correct color. Ask your caregiver or pharmacist what color the medicine should be. The name of the medicine is the same name your caregiver told you or wrote down. If you are not sure, call your caregiver. How do I get the medicine out of a vial? A vial is a small bottle with a plastic or metal top covering a rubber stopper. The vial may hold enough medicine for one or more doses. If the vial will be used for more than one dose (a multiple dose vial), make sure you write the date you open it on the vial. The medicine may be a powder or a liquid. Remove a syringe from its wrapper. If you need to add more than 1 mL of liquid to a multiple dose vial, you will need to use two syringes. The first syringe is needed to add the liquid. The second syringe is needed to give the shot. If you have instructions from your caregiver, follow them. If you do not have instructions from your caregiver, read the label or the package insert information. It will tell you how much liquid you will need to add to the powder to make the correct solution. Use an alcohol wipe to wipe the top of the vial with the sterile liquid used to add to the powder. Wipe the top of the vial with the powdered medicine in it. Do not touch the tops of the vials after wiping them. Put the vial on a flat surface. You will only remove air from the vial. Leave the powder at the bottom of the vial. To remove air, insert the needle into the top of the vial and pull back the plunger. Pull it back the same number of mL's you will need to add liquid to the powder. You may have to pull back harder on the plunger than you expect. Remove the needle from the vial with the powdered medicine, and stick the needle into the top of the vial with the sterile liquid. Inject the air into the sterile liquid vial. Turn the vial attached to the syringe upside down. 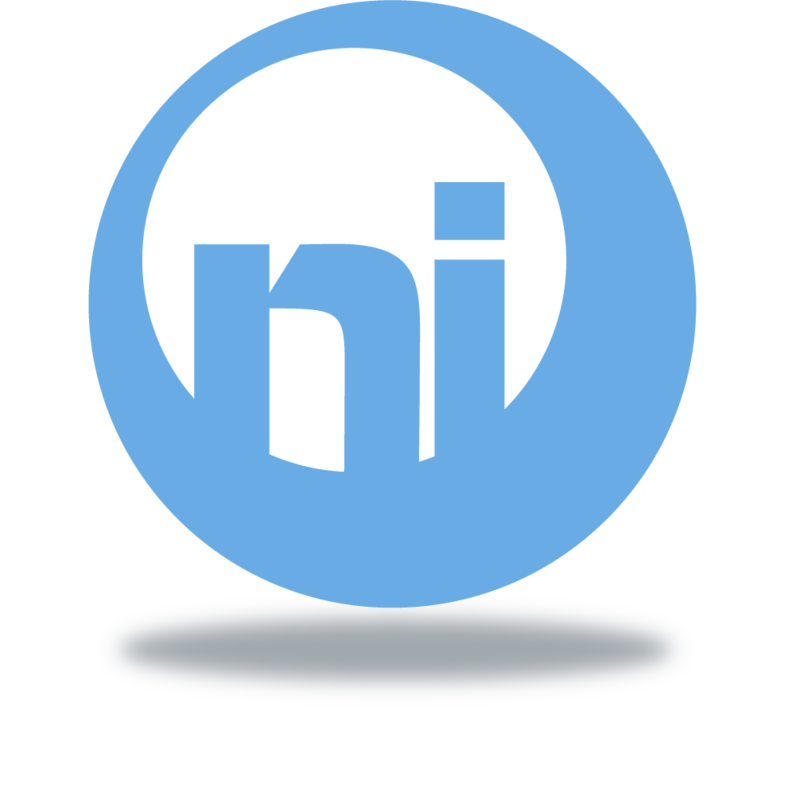 Make sure the tip of the needle is in the sterile water or saline. The sterile liquid will fill the syringe to about the same amount of air that you put in. If you need some more liquid, pull the plunger back a little to get the correct amount. Remove the needle from the sterile liquid bottle. If you see powder in the vial, keep mixing it until you only see liquid. If you needed to use a large syringe to add liquid, remove the needle and follow the directions below: "If the medicine is already in liquid form" . You may use the same syringe to prepare the medicine and to give the shot. If so, turn the medicine and the syringe upside down. Pull the needle down so the tip of the needle is in the medicine. You need to add air to the vial in the same amount that you plan to take out in order to get the medicine out of the vial. To do this, you must know how much medicine to inject. Pull the plunger on the syringe back to the amount you plan to give. Once the air has been pushed into the vial, turn the vial, attached to the syringe, upside down. Make sure the tip of the needle is in the medicine. The medicine will come back into the syringe and stop at or near the correct place. If you do not put in enough air, the plunger will be difficult to pull. If you are using a multiple dose vial, too much or too little air may have been put in for a previous dose. If so, you will have to adjust your pull or push on the plunger. Where can I give a subcutaneous shot? Upper Arm: Uncover the arm to the shoulder to see the whole arm. Have the person getting the shot stand with hand on hip. Stand next to and a little behind the person. Find the area in the middle part of the arm, halfway between the elbow and shoulder. Gently grasp the skin at the back of the arm between your thumb and first 2 fingers. You should have 1-2 inches of skin. Abdomen: Uncover the abdomen to see the whole area. Find the waist area. You may give a shot bounded by these landmarks: below the waist, to just above the hip bone, and from where the body curves at the side to about 2 inches from the middle of the abdomen. Avoid the bellybutton. Use the natural line in the middle of the body as a marker. It may be hard to see, but it is there unless it was removed by surgery. Thigh: Uncover the entire leg. Find the area between the knee and hip. The middle of the thigh, from mid-front to mid-side, on the outside part of the thigh is a safe site. Gently grasp the area to make sure you can pinch one to two inches of skin. Lower back: Uncover the back from the waist to the top of the rear-end. A shot may be given just below the waist to a line that runs across the back above the crack between rear end cheeks. Give the shot between the area where the body curves at the hip and a few inches from the spine. How do I choose a good place for the shot? 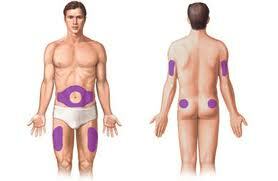 Any of the following sites may be used: upper arm, abdomen, thigh, lower back. It is important to keep track of the sites you use and to use a different site each time you give a shot. Some sites are preferred for certain medicines. Ask your caregiver if the medicine you are taking has a preferred site. If you are giving shots to yourself you may not be able to use your back or your arm. To keep track of where you are giving shots, make a list of the sites you use. Write down the date, time, and the site each time you give a shot. The sites where shots are given should be at least 1 inch away from each other. Picture 1 inch squares, like a checkerboard. A shot may be given into each of those squares. You may choose to rotate your shots through one area, like the left thigh, then begin again in the same area. Or you may rotate through one area then go to another. It is very important to rotate sites. Giving a shot in the same site can make the site scarred and hard. Hard areas will keep you from using all the medicine. What do I need to give a subcutaneous shot? One alcohol wipe wrapped in foil. One sterile 2 x 2 gauze pad. An ampule, vial, or pre-filled syringe containing the medicine. The correct size syringe and needle. Your caregiver should give you this information. How do I inject medicine into subcutaneous tissue? Please read this section all the way through before giving the shot. It is important to get the general idea of what you are about to do before you begin. You may read this step-by-step procedure again as you do it. Subcutaneous shots can be given straight in at a 90 degree angle, or at a 45 degree angle. Give the shot straight in at a 90 degree angle if 2 inches of skin can be grasped between your thumb and first (index) finger. If only 1 inch of skin can be grasped, give the shot at a 45 degree angle. Open the foil covering the first alcohol wipe. Wipe the area where you plan to give the shot. Let the area dry. Take the cover off the needle. Hold the syringe with your writing hand and pull the cover off with your other hand, like taking a cap off a pen. If you will give the shot at a 45 degree angle, hold the syringe with your writing hand. Place the syringe between your thumb and your index and second fingers. The needle should be pointing upwards or downwards at the 45 degree angle you plan to use. If you will give the shot at a 90 degree angle, hold the syringe with your writing hand. Hold the syringe under your thumb and first finger. Let the barrel of the syringe rest on your second finger. Many people hold a pen this way when they write. Grasp the skin with the hand not holding the syringe. 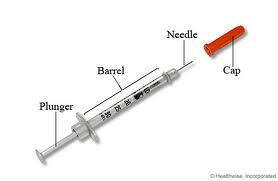 Holding the syringe barrel tightly with your writing hand, use your wrist to inject the needle. Sometimes the needle goes in easily. Some people have tougher skin and a little more pressure or quickness must be used. Once the needle is all the way in, push the plunger down to inject the medicine. Remove the needle at the same angle you put it in. Gently wipe the area with the dry sterile gauze 2 x 2 pad. You have the right to care for yourself or your loved one at home. To help with this plan, you must first learn how to give a subcutaneous injection. You can then discuss subcutaneous injections with caregivers if you have questions. You always have the right to refuse the instructions on this sheet. The above information is an educational aid only. It is not intended as medical advice for individual conditions or treatments. Talk to your doctor, nurse or pharmacist before following any medical regimen to see if it is safe and effective for you. If you have any questions pertaining to these instructions and/or your prescribed medications, please consult with our medical department prior to beginning any treatment by calling 888-520-3438.